FIR stands for First Information Report. It is a written document prepared by Police when they receive an information about a cognizable offence. In a cognizable offence, a Police officer has an authority to make an arrest without warrant. It is a complaint generally filed by the victim or someone else on his/her behalf. When the FIR is registered by the Police, a signed copy is also given to the victim or the same person who filed the FIR. Police cannot refuse to register a FIR as it is against the law. 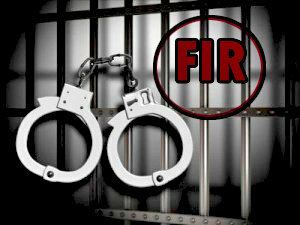 An FIR is a very important document because it helps in the process of criminal justice. Only after the FIR is registered, the Police can start the investigation. Once a FIR is registered, the content of the FIR can't be changed except by a ruling from High Court or Supreme court of India. The information in the FIR register is maintained at every police station. An FIR page contains the following information. Anyone can file an FIR who knows about the commission of the cognizable offence. Police must write it down when the information about the commission of the cognizable offence is given orally. The victim or the person who is filing the complaint has right to demand that the information recorded by police be read to him/her. Once the information is recorded, it must be signed by the person giving the information. If the person cannot write, he or she can put the left thumb impression on the document. After filing the FIR, you should take the copy of FIR. It is you right to ask for the copy of FIR free of cost, if police does not provide it to you.